A single-storey extension is a simple way to expand your home. Follow our advice to keep the project stress free. It’s not surprising that single-storey rear extensions are a popular way to add space and value to a home. Not only do they save you from moving house, but they also avoid some of the dramas that more extensive builds involve. However, just because they’re simple doesn’t mean they’re always plain sailing. There are some legal steps you need to follow, and despite their size, single-storey extensions can still be stressful to manage and prone to costly errors. Read on for our tips on navigating the obstacles and keeping your building project stress-free. Want a side return extension instead? We answer some common questions about this kind of project. 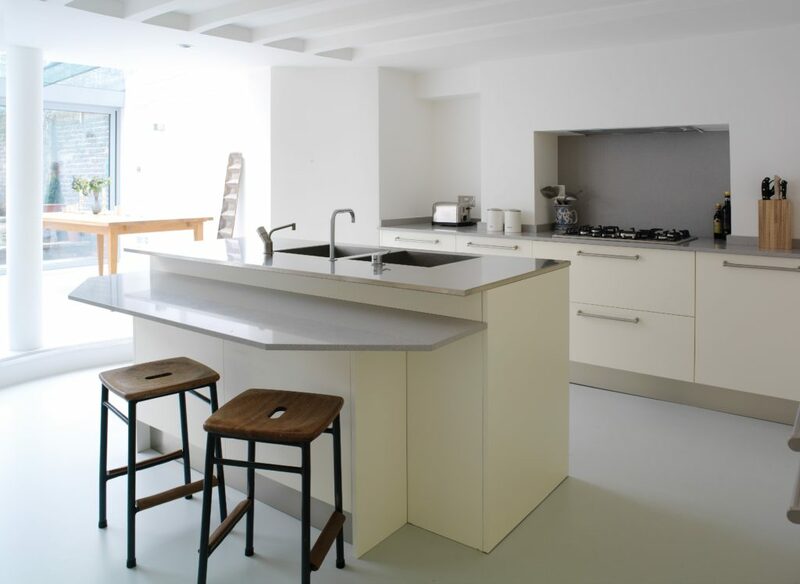 This generous rear extension has made space for an open-plan kitchen and living room. 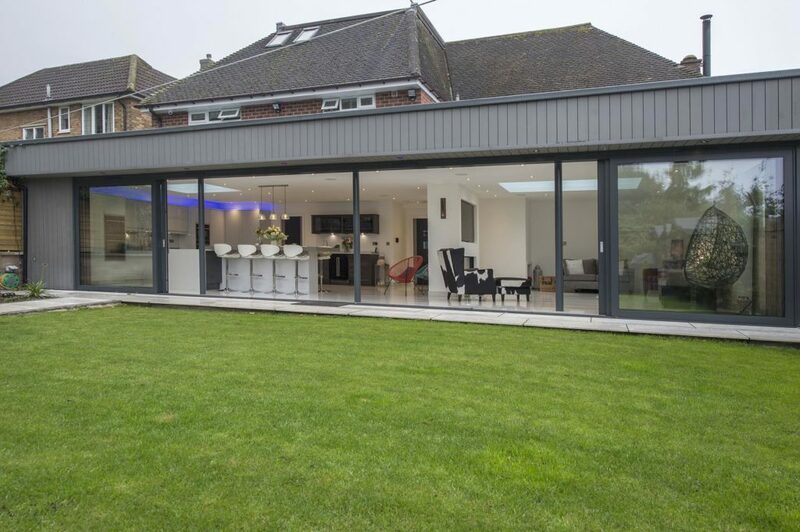 Sliding doors from Express Bi-folding Doors establish a seamless connection with the garden. For more ways to create an indoor-outdoor kitchen, click here. Some single-storey rear extensions are considered permitted development (PD). This means they’re seen as relatively minor renovations that are automatically granted planning permission. However, be aware that local authorities have the power to remove or restrict PD rights. There are also different permitted development laws in England, Scotland, Wales and Northern Ireland. You’ll therefore need to check how local and national legislation will affect your plans before you start. If you want to make sure that your proposed work doesn’t need planning permission, you can apply for a lawful development certificate (LDC). This isn’t compulsory, but it’ll help when you come to sell your property as it’ll show that the building work you’ve done is all above board. Apply to your local council for an LDC. Does my home qualify for permitted development rights? If you live in a ground-floor flat or maisonette, the answer’s simple: no – these kinds of properties don’t have PD rights. If you live in a house, your PD rights will be restricted if it’s in a conservation area, national park or area of outstanding natural beauty, or if it’s listed. Even if your extension qualifies as permitted development, it’ll still need to meet some conditions. For example, it mustn’t cover more than 50 per cent of the total area of land around the original house, and it can’t be more than four metres high. In addition, a single-storey rear extension mustn’t extend beyond the rear wall of the original house (as it was first built) by more than three metres (if it’s an attached house) or by four metres (if it’s a detached house). These limits have been extended to six metres and eight metres respectively until May 2019. The most common mistake when planning a rear extension is not having everything planned before work commences. 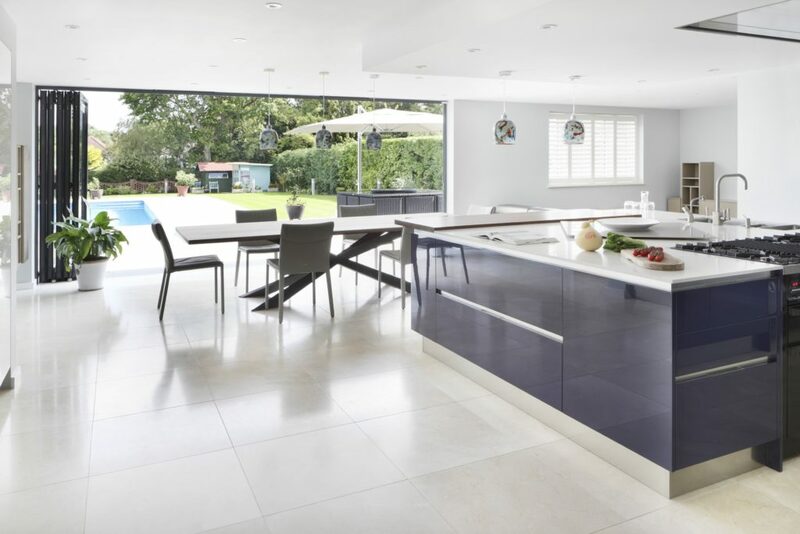 “Introducing your builder and kitchen designer at the earliest opportunity is key to a successful outcome,” says Daniele Brutto of Hub Kitchens. If you want to expand more than six metres (for an attached house) or eight metres (for a detached house), you’ll need to notify the local authority. The planning team there will let your neighbours know about your proposed development and consult them on their views on it. In simple terms, as long as none of your neighbours object to the extension, then it can continue as a permitted development. If any of your neighbours object, you’ll need to seek planning permission. 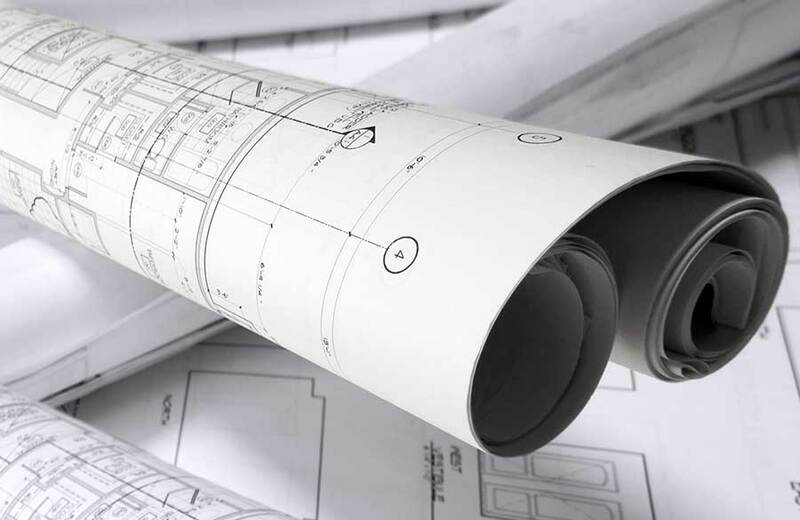 I need planning permission – what now? 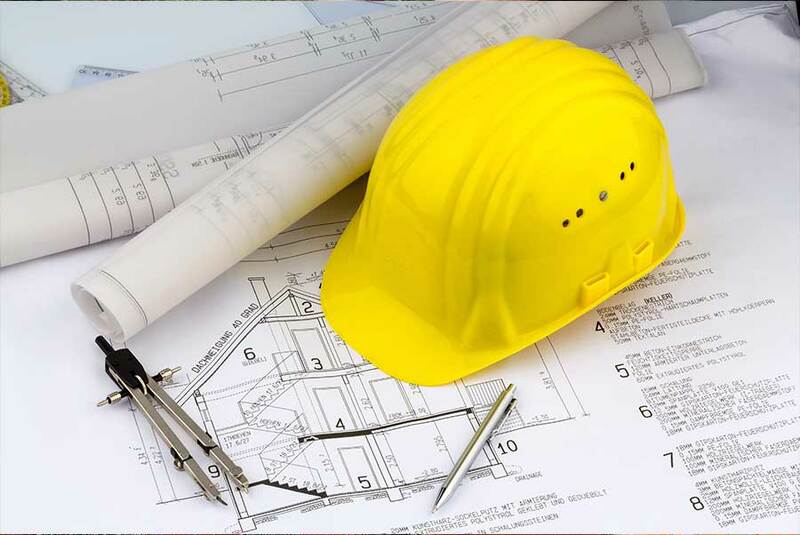 You’ll need to make a planning application if the work you want to do isn’t covered by PD. An optional first step is to ask your local authority for pre-application advice. This will help you work out if your plans have a chance of success. Once you’ve submitted drawings and written documents outlining your intentions, you’ll get non-binding feedback from your local authority. This will give you a good indication of your scheme’s chances of success and whether you’ll need to amend it before you submit it. Some authorities charge for pre-application advice (between £100 and £200); others offer it free. 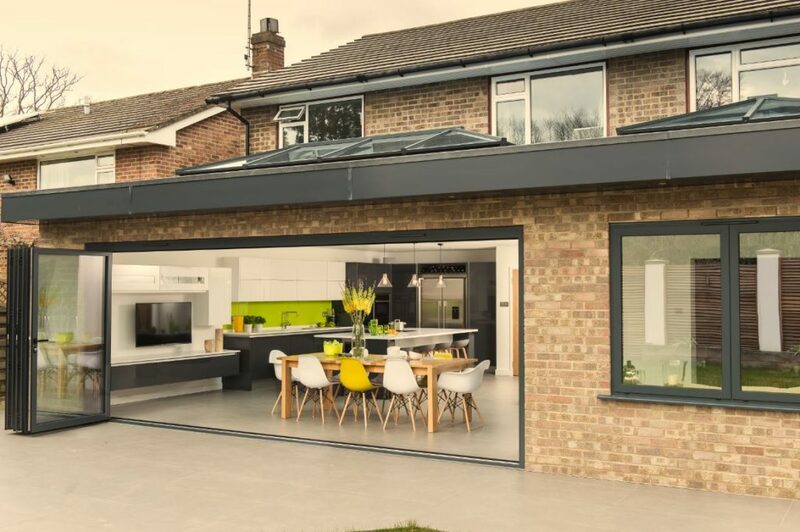 Commonly seen on rear extensions, bi-fold doors create a completely unrestricted and seamless connection between the inside and out. Available at Express Bi-folding Doors. Who can help with the planning permission process? If you’re considering a rear extension that needs planning permission, think about using the services of an architect or architectural designer. They’ll not only have a good idea of what’s achievable in your area, but can also draw up the plans you’ll need to use to apply for permission. 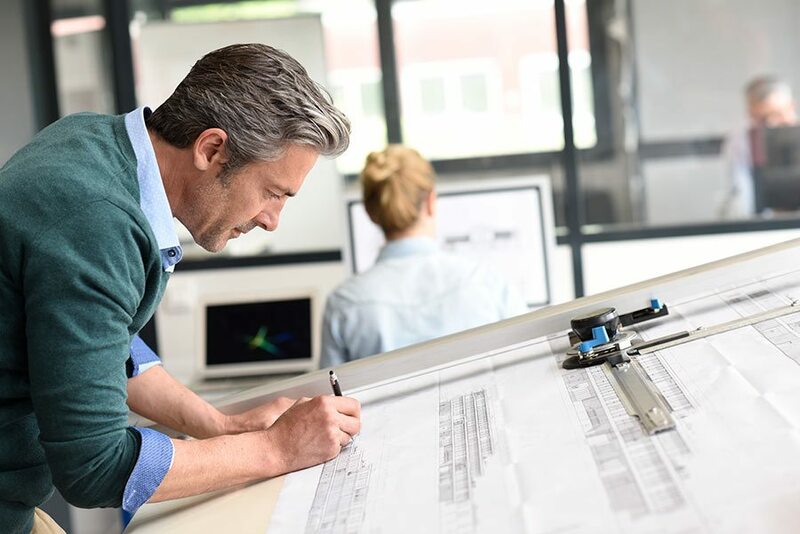 An architect can also handle the planning process on your behalf. They’ll either do this as part of their package or for an additional fee. Read our practical guide to working out when you need planning permission, how to navigate the process and what to do if your application fails. Does my rear extension need building regulations approval? Building regulations approval is different from planning permission – it ensures your proposed rear extension complies with building regulations. As the owner of the property, you’re ultimately responsible for making sure it’s compliant. The first step happens before work begins: you’ll need to decide whether to submit a building notice or make a full plans building regulations application. If your extension is relatively small, a building notice application could be the solution, as it doesn’t need pre-approved plans. Building can therefore get underway quickly and a building control inspector will approve the works as they’re carried out. If you decide to submit a building notice, you need to be sure that work meets building regulations. If it doesn’t comply when it’s inspected, you’ll need to make amendments. That will mean extra costs. The good news is that you can avoid this by using an experience builder who can make sure the plans meet all the relevant regulations. Alternatively, you can go the full plans route – we’ll look at this next. How do I make a full plans application? Although less risky, a full plans application needs more prep work. To start, you’ll have to submit all drawings and specifications well in advance of when work is due to start on site. These are checked, and, if they conform to the regulations, they’re approved by the building control inspector. If the plans don’t conform, you may be asked to make amendments or provide more details. The advantage of a full plans application is that problems are addressed before work starts, which avoids costly delays. Plus, the approved drawings will show everything the builder needs to know to provide a fixed quotation, which will help you manage costs. If you simply need extra space and enjoy the open-plan living lifestyle, extending will always offer more scope for design and extended living spaces. “Clients need to think about their lifestyle and be honest with themselves about what they like and what suits them best,” says Daniele Brutto, Hub Kitchens. Where can I find a building control inspector? 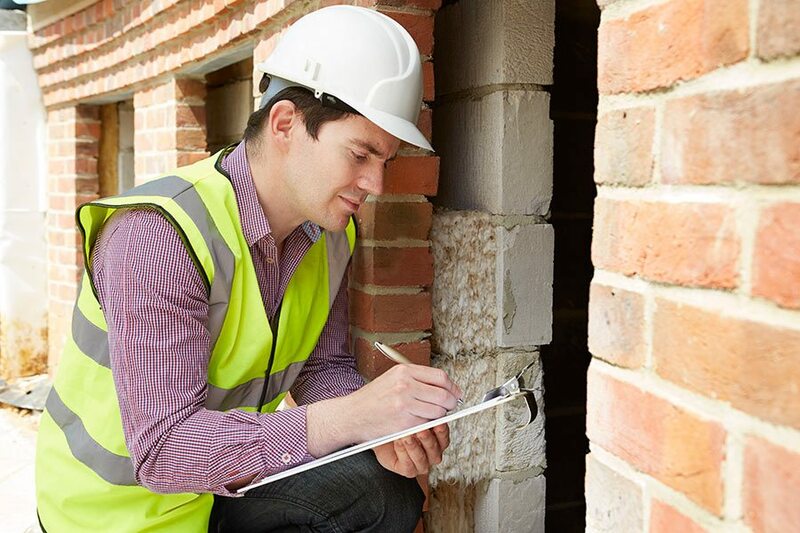 If you’ve chosen to submit a building notice application, you’ll need to get your works checked by a building control inspector. You can find one via your local authority or from a government-approved private building inspection company. In either case, they’ll visit at key stages of the build and check foundations, ground and floors, damp proofing, roof structure, drainage, structural beams and openings, fire proofing and thermal insulation. Once the work’s complete and your inspector is happy it meets building regulations, he or she will issue you with a completion certificate free of charge. Make sure you keep it: it’ll be important when you come to sell your home. Where can I get expert help for my project? When it comes to adding a rear extension to your home, it’s always worth taking the time to find the right people to work with to avoid stress, delays and costly mistakes. That includes finding a good builder and perhaps a project manager. Start with some online research and by asking friends and neighbours for recommendations. Ask for references from builders and project managers who seem right for your plans, and always follow them up. Ideally, check out projects they’ve worked on too. Official bodies are a great place to start your research. 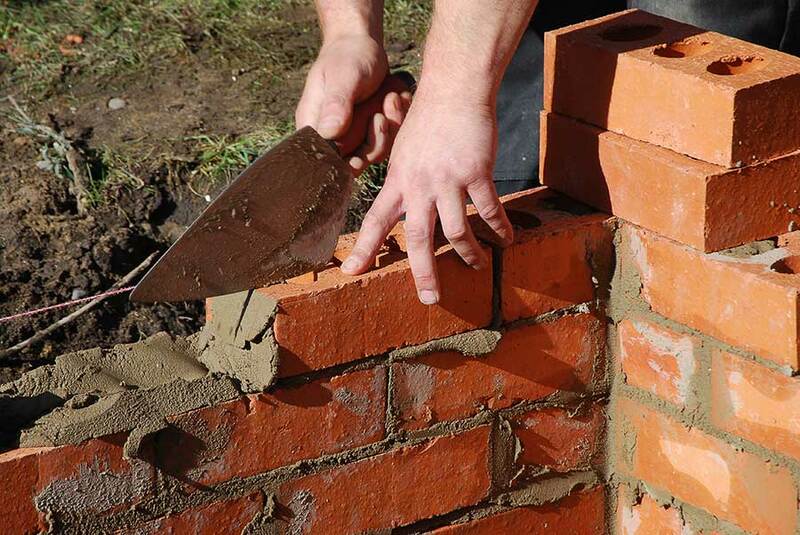 For example, a good builder can be found through the Federation of Master Builder, TrustMark or Checkatrade.